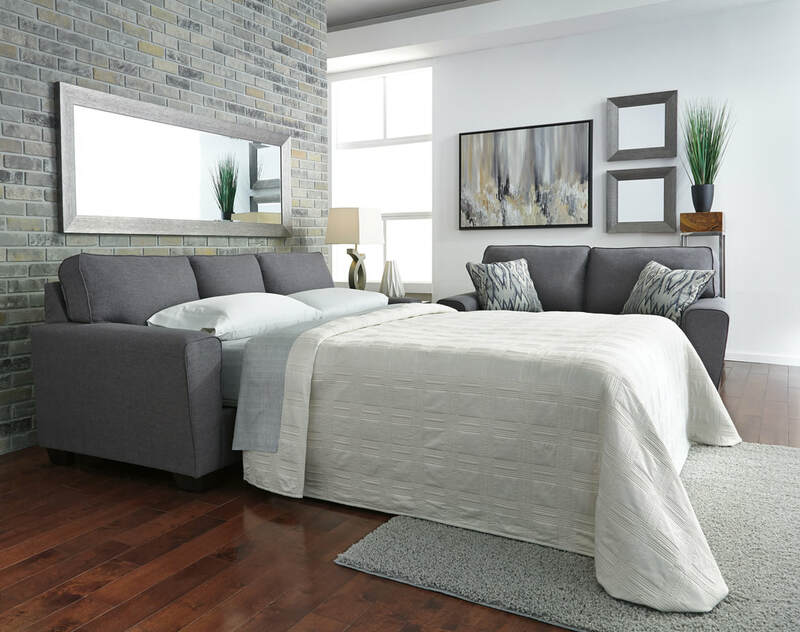 HUTTON SOFA BED - Twin sofa bed with a memory foam mattress. LILY SOFA BED - Proudly Australian Made. Customise your look -Great range of leather, fabric types and colours available. Choice of timber leg colour. Available as a 2 seater Single, 2.5 seater Double or 3 seater Queen. All top quality materials with innerspring mattress. GARCIA QUEEN SOFA BED - Generous size and comfort. Plush charcoal fabric, this sumptuous queen sofa sleeper, with roll back arms for distinctive flair. Easy pull-out queen mattress in quality memory foam accommodates overnight guests. Also available in other configurations to compliment your room decor. 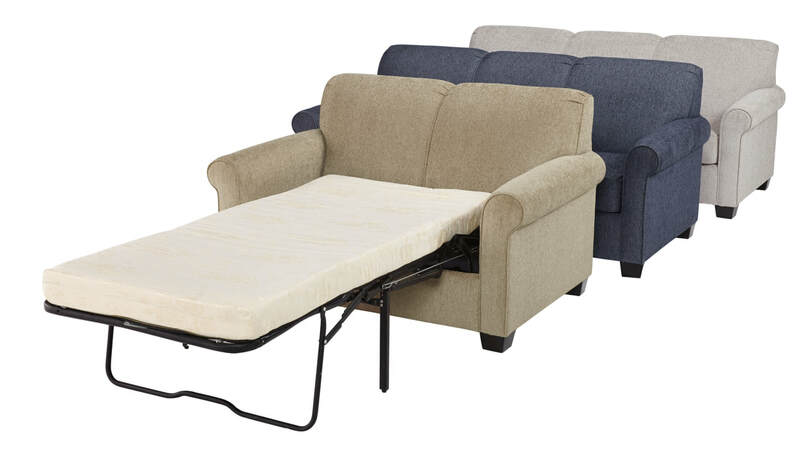 SOFTEE DOUBLE SOFA BED - Narrow arms make this sofa ideal for small living spaces. Great value foam mattress with bifold mechanism with bonus side cushions. HUNTER QUEEN SOFA BED Modern styling to suit a variety of decors with Innerspring mattress for extra comfort. FLYNN DOUBLE SOFA BED - Stylish and compact with innerspring mattress for comfort.